Canadian snowbirds have been investing in U.S. real estate and vacation properties for decades, and while buying a foreign vacation home can be a great option for many, it’s a major commitment and a decision that should never be taken lightly. If you’re thinking about buying real estate in the U.S. (or any other foreign country), ask yourself the following questions first to make sure purchasing a foreign vacation home is right for you and you’re considering the right type of property to meet your needs. Do you have the financial resources to comfortably afford a second home? 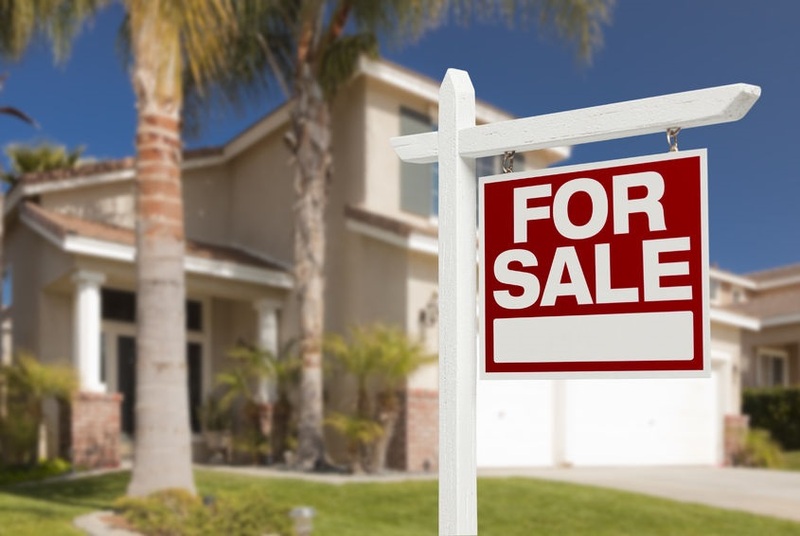 Keep in mind that if you need to sell your U.S. real estate in a hurry for financial reasons, you may be forced to sell when the market is down or the exchange rate is less favourable than when you purchased the property, which could result in a significant loss. Will this be a cozy retreat, a place to entertain friends and family or a hub for golf outings? The answers to these questions and others will shape your preferences on location, size, floor plan, related amenities and much more. Most people interested in buying a foreign vacation property already have some ideas about where they want to purchase a home. However, the smartest buyers will make at least one extended trip to their preferred destination to become familiar with the local market and their preferred neighbourhoods before making a decision. Some buyers insist upon a newly-built home or unit, especially if it offers the latest amenities and technology. However, new homes also typically come with higher price tags and possibly higher taxes. Buyers also need to decide between standalone properties or units within a multifamily complex. Each offers a distinct set of trade-offs, especially for long-distance owners (or landlords). For any purchase abroad, and especially for resale properties, make sure you get a thorough professional inspection to avoid hidden problems, as well as an appraisal. Do you plan on renting your vacation home when you’re not using it? If so, make sure local laws permit owners to accept rentals and be aware that many communities don’t allow you to rent for periods of less than 6 months or a year. You should also look for a property that is conveniently located in a desirable area where you’ll have access to a large pool of renters and be able to command decent rental rates. In some countries, “foreigners” are not allowed to own property. While this doesn’t apply in the U.S. and Canadians are free to buy and own property south of the border, you’ll still want to make sure you are familiar with federal, state and municipal laws and regulations related to foreign ownership, property restrictions, fees and taxes, as these can differ from what you may be used to in Canada. Professional fees such as real estate agents, attorneys, inspectors, appraisers and financial/tax professionals. Closing costs, which can include sales/transfer taxes and title/notary services. Additionally, if the purchase is financed, mortgage origination expenses will be added to the closing costs. Mortgage Payments - If your property is financed, monthly mortgage payments will likely be your largest expense. Utilities - Utility costs can vary greatly depending on location on property type. Community Fees – Many communities may have monthly fees to manage the community’s infrastructure, maintenance costs and related services. Taxes – In addition to local property taxes, you’ll also be subject to tax back home on any rental income you earn. Insurance – Homeowner’s insurance is always a must, and some areas and communities require mandatory minimum coverage levels. Is the property libel for taxes on capital gains & how is the capital gain calculated? Those rates can vary greatly depending on whether the owner (or the owner’s heirs) are considered legal residents or foreigners. What are the tax implications of repatriating and investment back to Canada? If a property moves into an estate, how will ownership and taxation be treated among the heirs? Can inheritance/transfer taxes be avoided by including heirs on the deed? Currency fluctuations – Cross-border property transactions always involve an element of currency risk that can significantly affect mortgage costs, ongoing expenses, rental income and the value of your property if you sell it. Transportation – Are there convenient, affordable transportation options to reach your destination (air, car, etc…)? Are there safe and reliable local transportation options? These factors will affect how easily and economically you can access and use your property and play a major role in attracting visitors (including rental customers) into the area. Financing – Keep in mind that the qualification requirements and terms for getting a mortgage for a foreign vacation home are very different from getting a mortgage for your primary residence in Canada. Government – For properties outside the United States, consider the following: Does the area welcome and encourage foreign investment? Are social services available to foreigners? Do property owners gain special visa or residency status? Is the overall political climate stable? When you begin the process of exploring a U.S. real estate purchase, make sure you carefully consider all of the items above and discuss them with a qualified real estate professional who can help you make a smart, informed decision - preferably one that specializes in foreign real estate transactions.